In Chongqing my wife’s cousin gave her a Buddhist pendant as a gift. 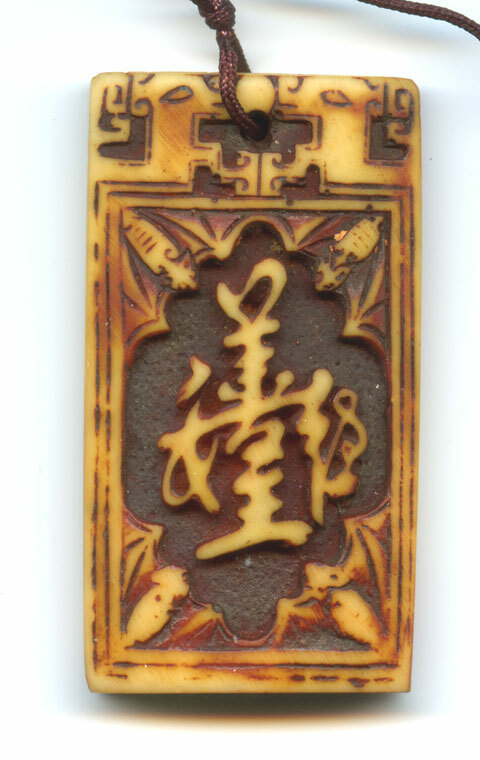 On one side was a form which consisted of four Chinese characters blended together. Can you see them?